Evolve Grain Free Chicken, Sweet Potato, & Pea Recipe Puppy Food is made for the special energy needs of growing puppies. It promotes the development of strong muscles, bones, and a healthy coat. This slow-cooked, nutrient-rich premium food contains high-quality proteins, complex carbohydrates, vegetables, minerals, vitamins, oils and fats. Because we care about the quality of our dog food, we chose to make real chicken the number 1 ingredient, which appeals to your dog’s natural ancestral instincts and cravings. By choosing Evolve Grain Free Chicken, Sweet Potato, & Pea Recipe Puppy Food, you are choosing a bright, strong, and healthy future for your puppy. Soon, you will begin to see your best friend flourish and thrive right before your eyes. 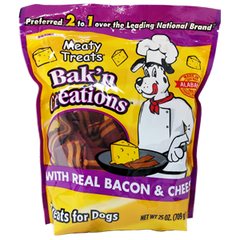 Therefore, you can feel confident feeding your dog this superior, wholesome food with a naturally delicious taste! Deboned Chicken, Chicken Meal, Dried Sweet Potatoes, Peas, Chickpeas, Chicken Fat (Preserved With Mixed Tocopherols), Pea Protein, Pea Starch, Turkey Meal, Dried Beet Pulp, Flaxseed Meal, Natural Chicken Flavor, Dried Egg Product, Potassium Chloride, Fish Oil (Source Of DHA), Salt, Dried Carrots, Dried Chicory Root, Minerals (Zinc Proteinate, Iron Proteinate, Copper Proteinate, Manganese Proteinate, Cobalt Proteinate, Sodium Selenite), Vitamins (Choline Chloride, Vitamin A supplement, Vitamin D3 supplement, Vitamin E supplement, Niacin, D-Calcium Pantothenate, Pyridoxine Hydrochloride (Source Of Vitamin B6), Thiamine Mononitrate, Riboflavin Supplement, Folic Acid, Vitamin B12 Supplement), Lactobacillus Acidophilus Fermentation Product Dehydrated, Bifidobacterium Animalis Product Dehydrated, Lactobacillus Reuteri Fermentation Product Dehydrated. *Not recognized as an essential nutrient by the AAFCO Dog Food Nutrient Profile Contains a source of live (viable) naturally occurring microorganisms. EVOLVE GRAIN-FREE DEBONED CHICKEN, SWEET POTATO & PEA PUPPY RECIPE Dog Food is formulated to meet the nutritional levels established by the AAFCO Dog Food Nutrient Profiles for all life stages, including growth of large size dogs (70 LBS. or more as an adult).